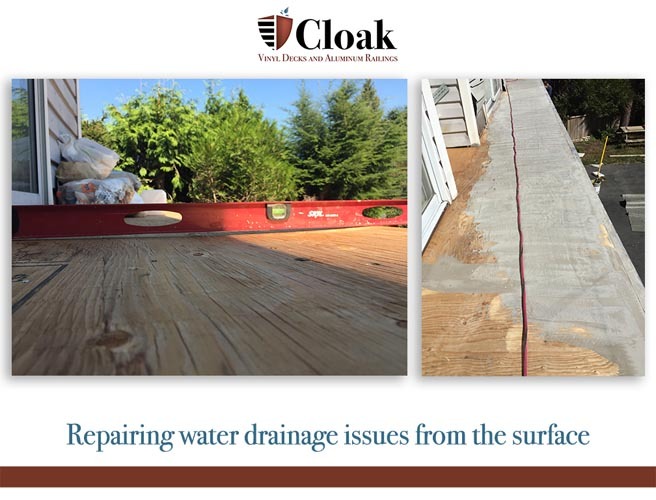 From carpentry to waterproofing, we’ve got you covered. 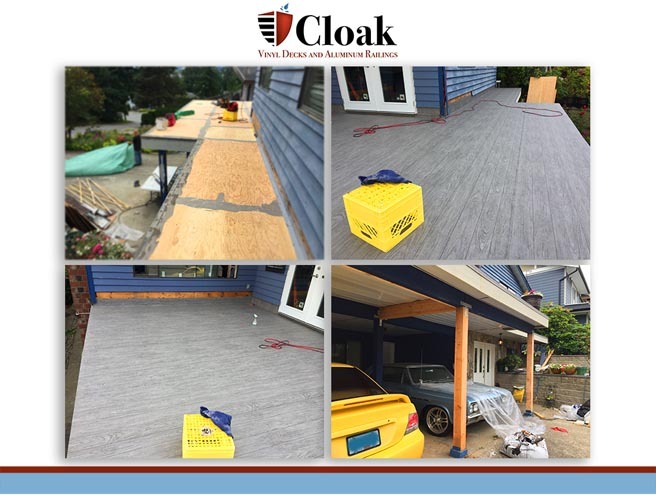 Cloak has 20+ years of experience in perfecting their vinyl deck covering and waterproofing services. Also specializing in outdoor vinyl decking repair throughout the Lower mainland BC including Vancouver, Burnaby, North Vancouver, Abbotsford and surrounding areas. 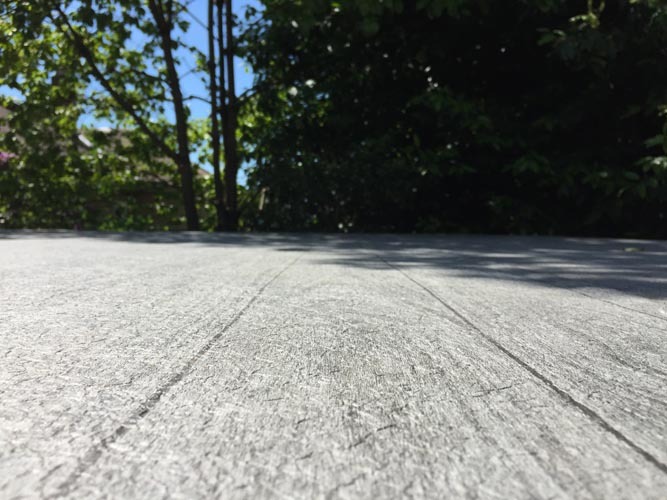 Keeping your outdoor decking area in good condition is an important aspect of maintaining the lasting value of your property. 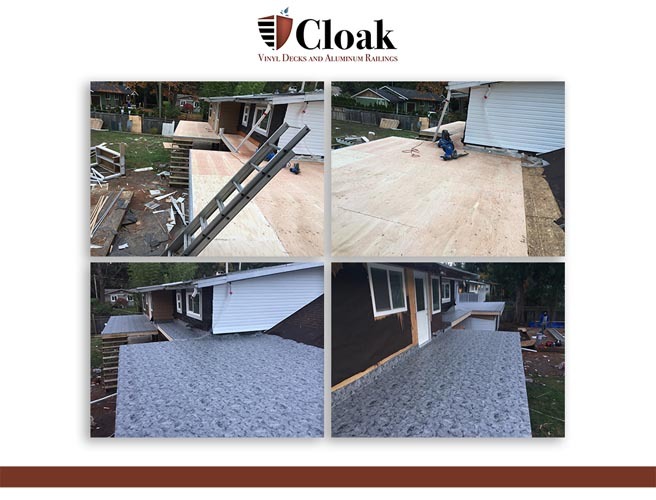 The vinyl coverings and installation services of Cloak are key to ensuring that your deck stays in top shape with as little maintenance as possible. 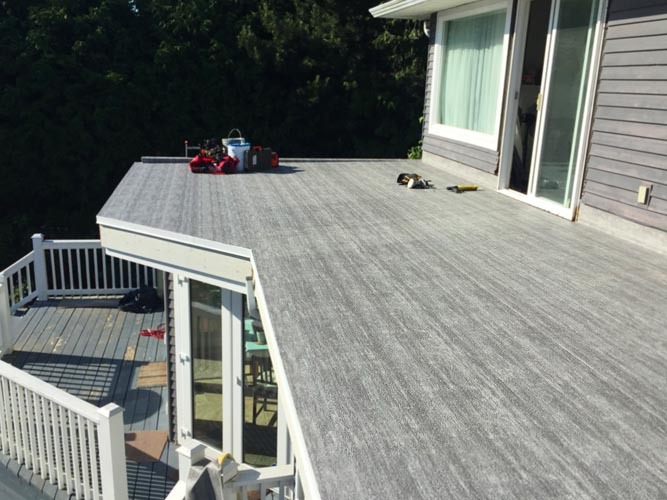 We are the vinyl repair and waterproofing specialist in your area, whether you are in Vancouver, Burnaby, North Vancouver, Abbotsford or other surrounding areas in the Lower mainland, B.C., we can help you with your decking project. 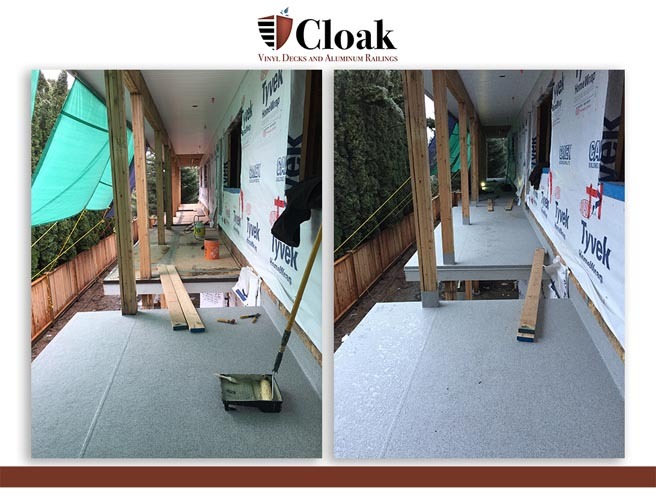 Waterproofing with vinyl deck flooring is a specialized trade that takes experience to execute perfectly. ‘Water finds a way’ is a popular adage for a good reason. 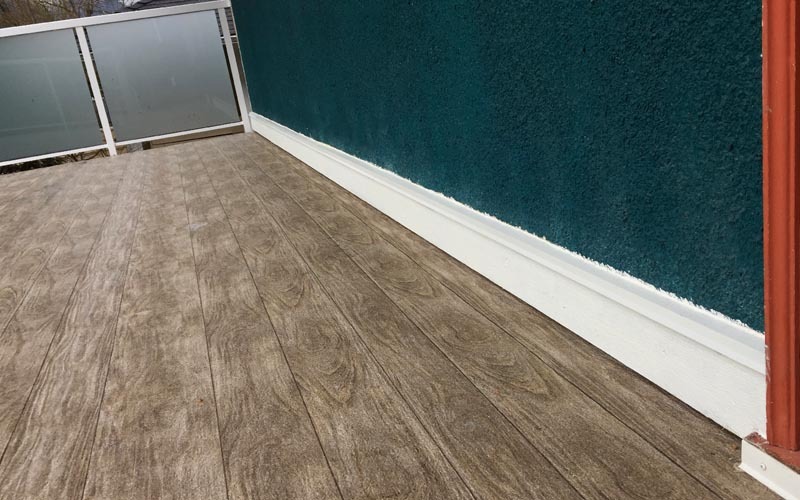 We have mastered the installation of waterproofing with vinyl decking, also the restoration of old vinyl through our ‘Vinyl Deck Repair Service’ where we improve the condition of your outdoor deck covering. 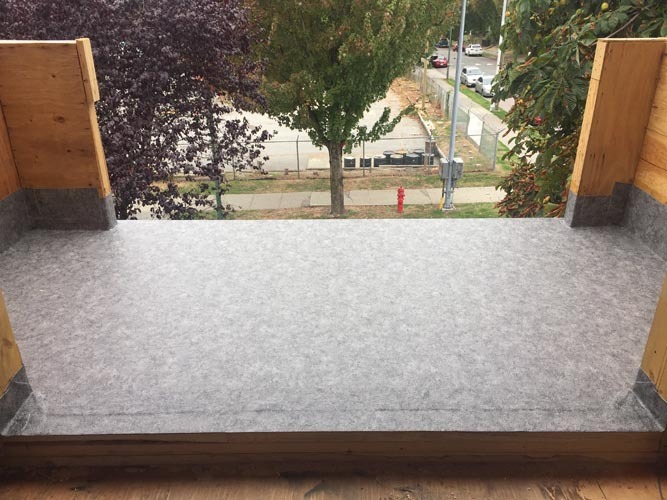 We use only the highest quality materials. 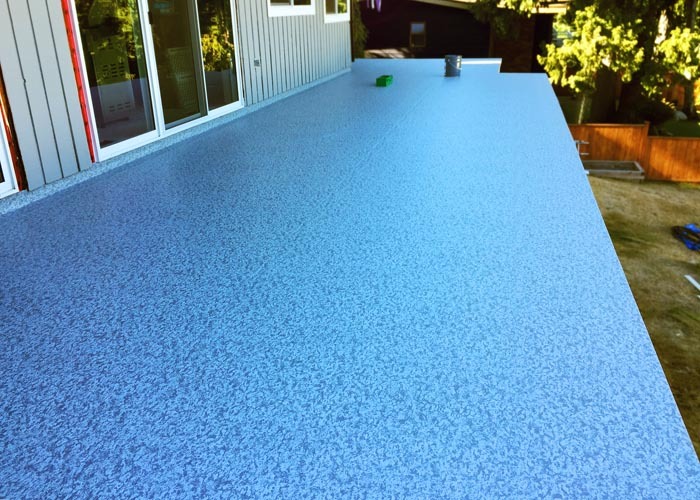 Our vinyl membranes are 60 mil + and come with a manufacturer’s warranty of 15 years. We install it correctly so as to maintain an eligible warranty. 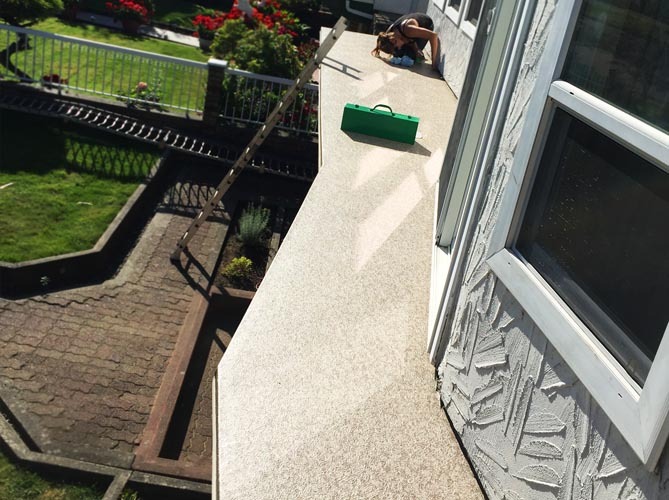 Our vinyl is slip resistant, will not crack, warp, or fade. 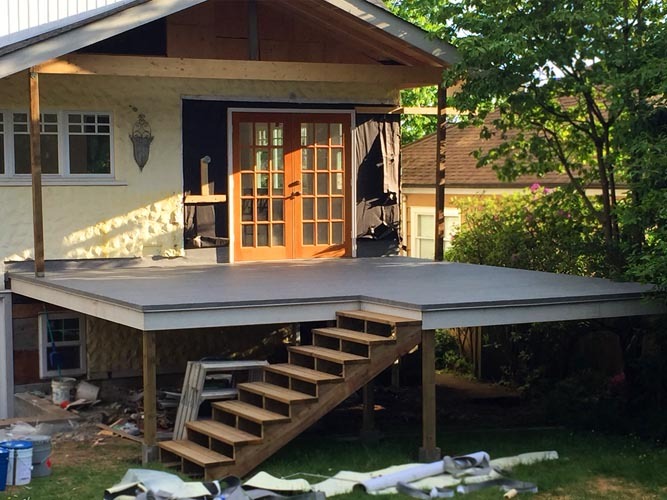 Below is a list of the decking services we provide. 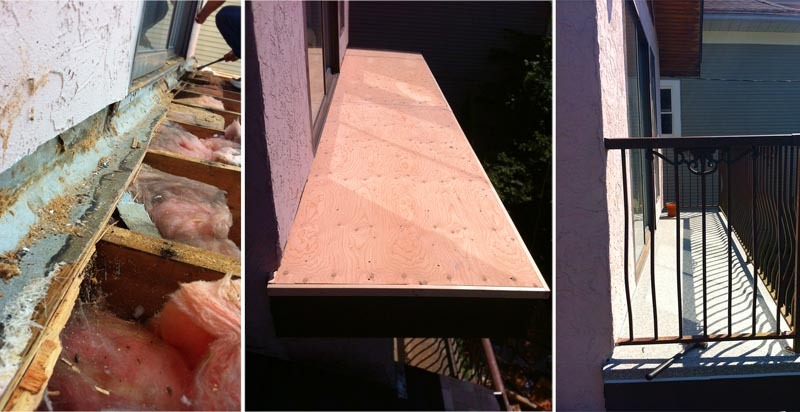 Woodwork is done by our qualified carpenters who have 20+ years of carpentry behind them. From footings and stairs, to structure, slope, and finishing plywood, we’ve got the knowledge and tools to get the job done right for vinyl application. This is our bread and butter and the process we have been undertaking, and perfecting, for 11 years running. 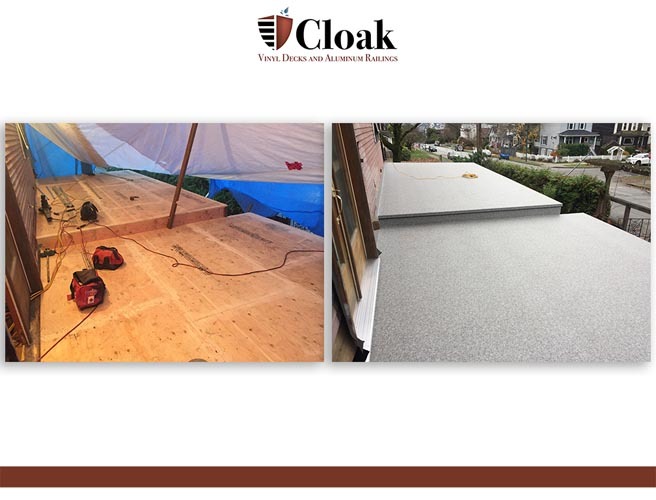 Our material is Roofgrade – CAN/CGSB 37.54-95 approved and installed according to manufacturer requirements and current city codes. Installations come with a 15-year limited warranty. 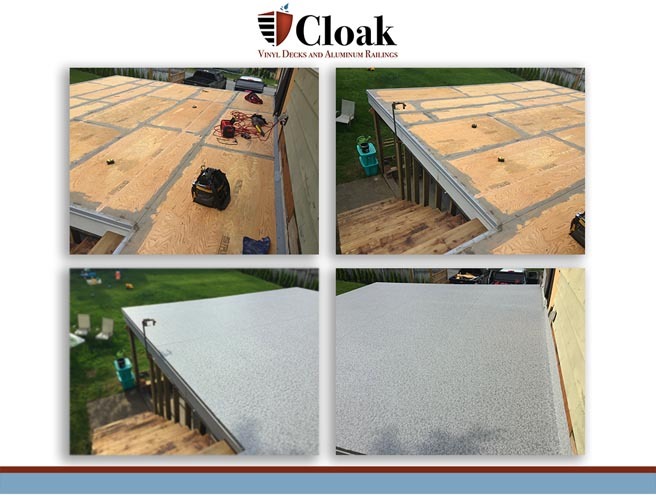 We take NO shortcuts on waterproofing, we recognize how dangerous these are both to you as a property owner and us as a reputable company. 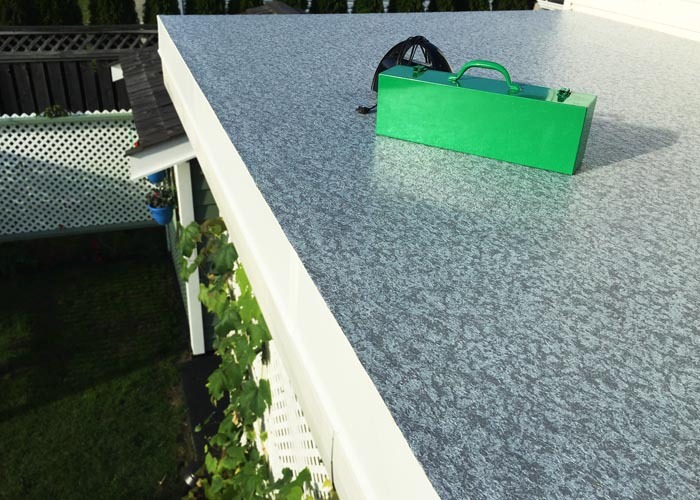 We install waterproofed drains, PVC coated scuppers, and PVC coated overflows using the latest leak-proof techniques and technology suggested by Weatherdek. This ensures water flows away and off the building. 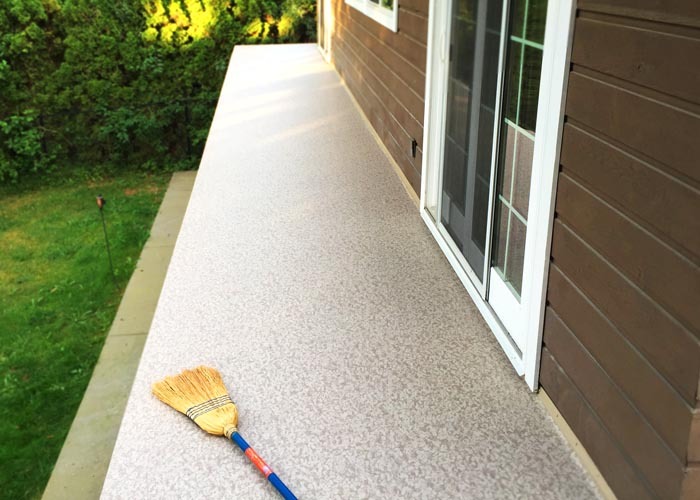 We use Weatherdek’s cleaning guide to get rid of the dirt, stains and mold that fade the pattern and cause a deck to look aged and unpleasant. We will us our tools to check the integrity of all your seams and re-weld those areas which need reinforcement (in addition to patches and cuts). Checks and replacements (keeping your warranty valid). 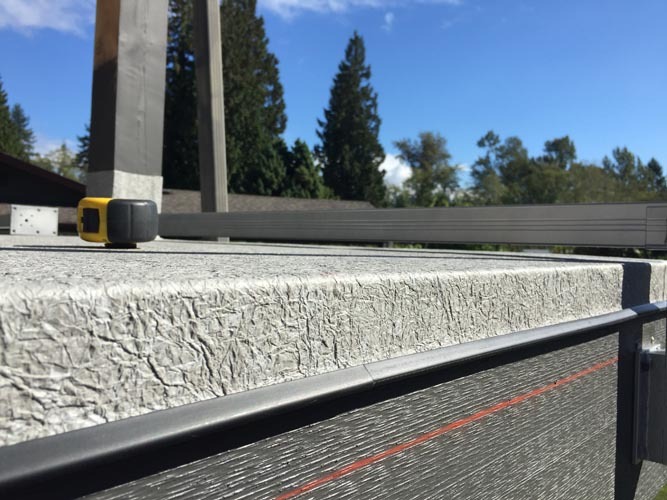 It is common for PVC edge clip to call off of the edge of vinyl decks, in fact, while you are around the city, keep an eye out and you’ll see this problem everywhere. It looks terrible and should be fixed to maintain the hold of the vinyl and the aesthetic of the building. We will repair and/or replace the clip and install it so that it doesn’t fall off again. Occasionally the vinyl can come detached from the substrate, particularly on vertical surfaces. 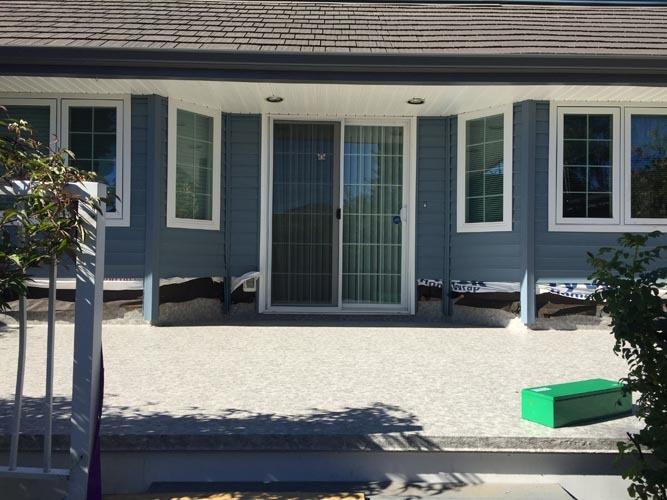 We can reapply the contact cement and get your vinyl membrane back to its original state. We have built a reputation for installing railings that are safe and reliable. 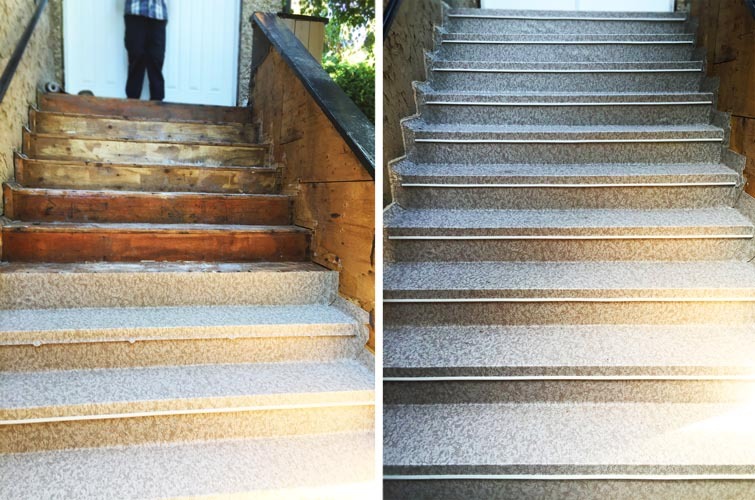 Our projects have ranged in various sizes, and we have worked with both residential and commercial clients. 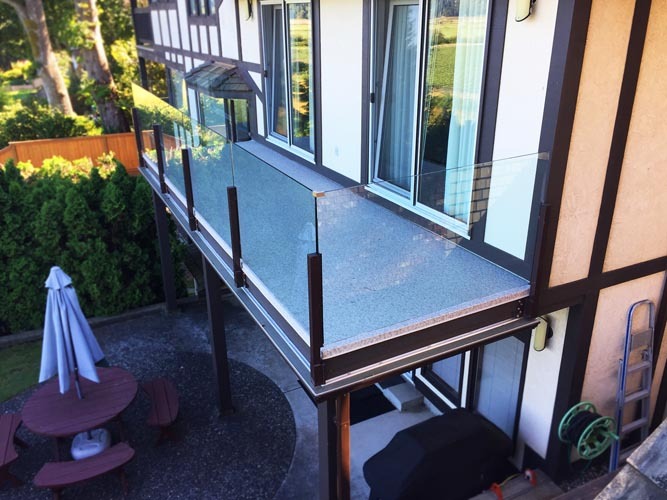 Our team follows all of the British Columbia codes and standards for railings, so you can feel at ease about the standard of our service. We run into all sorts of requests from installing privacy panels to decorative aluminum gates. With our expertise in welding and creating custom pieces, we can meet your needs whether they are focused on function, price, or style. *Pease see the ‘railings’ section of the website under ‘services’ for more information and pictures of our work. 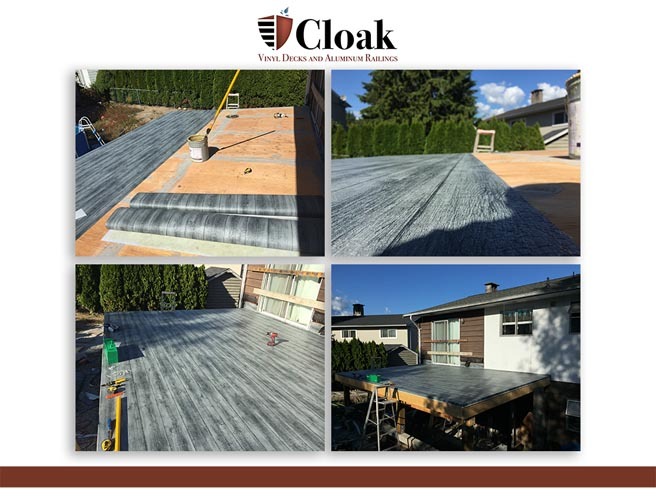 All vinyl deck construction, waterproofing, and repair services we provide come with a free estimate anywhere within Vancouver, Burnaby, North Vancouver, Abbotsford and surrounding areas so you can make an informed decision in selecting the service provider that will best fit your needs. 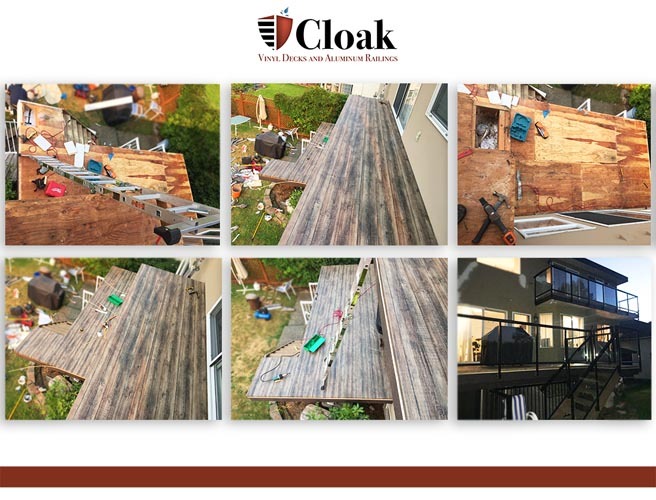 Contact Cloak today and get started on your deck.